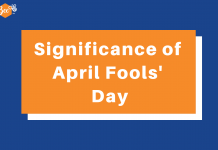 LIC had released the much awaited notification for the post of AAO (Assistant Administrative Officer) in the month of March 2019 after a long gap of almost three years. All the candidates who were preparing and eagerly waiting for the notification breathed a sigh of relief with it. LIC AAO maintains itself as one of the best jobs, especially in the insurance sector as LIC is one of the largest insurance companies in India. LIC offers great opportunities to aspirants willing to make a career in the insurance industry. This year it has released 590 vacancies for the post of LIC AAO under various categories (Generalist/IT/Chartered Accountant/Actuarial/Rajbhasha) and to keep up with the ongoing changes in the exam pattern of the competitive exams, especially in the banking sector, LIC has also attempted to change the exam pattern completely. As LIC has included two stages before the interview, you need to be well prepared for both of them well in advance. There will not be much gap between the LIC AAO Prelims and Main Examination and therefore you should prepare keeping both the exams in mind. You cannot focus on just the Prelims and wait for the Mains exam date. The LIC AAO Mains includes one common subject for all the categories of posts, i.e. 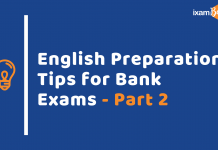 Insurance and Finance which holds quite a lot of importance in the exam and you should be aware of the syllabus and know what to cover in the preparation. 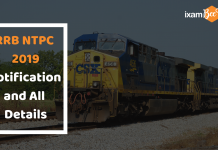 Please check out the complete LIC AAO 2019 notification details. 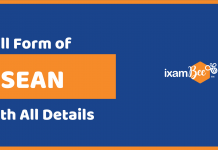 Observing the need of genuine information regarding the syllabus of Insurance & Finance subject in LIC AAO 2019 Mains, we thought to compile and bring out to you an authentic list of topics that you need to prepare for LIC AAO Mains Exam and end your search here. Financial Terms : Inflation, GDP,GNP,MIBOR etc. Monetary Policy related terms: CRR,SLR,LAF,Repo Rate, Reverse Repo Rate,MSF,OMO,MSS etc. 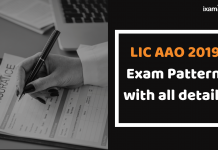 Now that you have a detailed format of all the topics that you need to study in the Insurance & Finance subject of Phase 2 (Mains) of LIC AAO 2019 Exam, you should just get going and fasten up your belts and start the race in finding your spot in the final list. 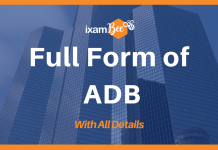 To assist you in your preparation, ixamBee has launched an LIC AAO Online Course with a comprehensive, yet crisp and ‘just to-the-point’ material. Previous articleWhat are the Best Books for RBI Grade B Phase I? What are the ‘Best Books’ for IBPS PO 2019? 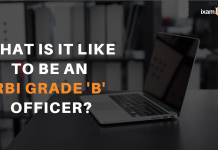 What is it like to be an RBI Grade B officer?